New High-current-Probe & Configurable I2-MX connector. In this newsletter we like to introduce to you a new High current spring contact probe the, HC500F from ECT and an exiting new versatile configurable and reliable connector, the new i2-MX from VPC, for test and measurement applications. Everett Charles Technologies Introduces HC500F High Current Probe. Everett Charles Technologies (ECT) introduces the latest addition to our versatile family of high current probes; the HC500F. The HC500F is rated at 150 Amps DC and is designed for the most challenging applications in a broad range of industrial test applications including transportation, automotive, power grid, military and PCB test. The HC500 enhances the ECT high current spring probe line. The extensive ECT high current probe offering now comprises 8 different continuous current ratings – starting at 10 Amps and peaking at 150 Amps. All ECT high current probes are optimized to meet the dedicated needs of high current applications. Tip styles have been developed to maximize surface contact and reduce arcing. Body geometries and materials have been defined to minimize resistance. ECT high current probes ensure reliable and repeatable testing up to 150 Amps and support extended test times. 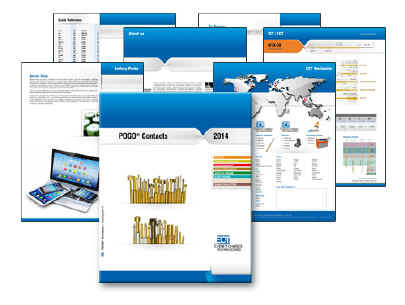 “ECT probes are an ideal choice for high volume as well as engineering characterization applications. The new CSP-40 probe family leverages Xcerra’s extensive experience in providing solutions for signal integrity sensitive applications. 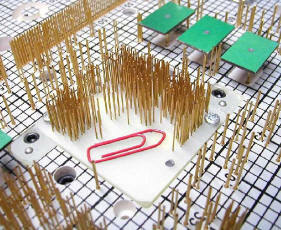 We have over 10 years of simulating complex test structures including probes, PBCA’s and launches. We build and test many structures to validate our products and corresponding models." Neem eenvoudig contact met ons op via onze contactpagina. i2-MX universal, free - configurable connector. 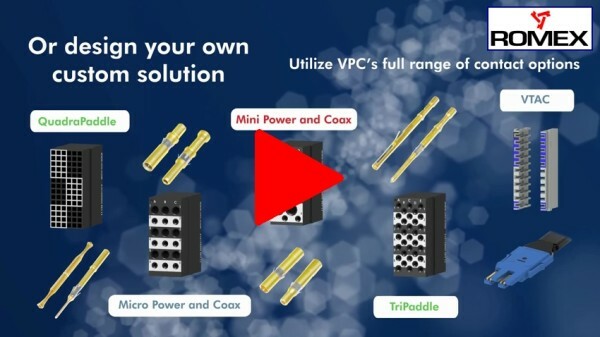 The question for more flexibility and higher demands of data throughput has triggered the engineers of Virginia Panel Corporation (VPC), to develop a new connector concept based on their successful Icon Mass Interconnect Range of connector products. With the succesfull i2 Micro Icon as a base they developed the new i2-MX. i2 MX, VPC’s new small connector offers a configurable connector in a slim 0.8" (+/- 20mm) footprint and provides EMI protection features. 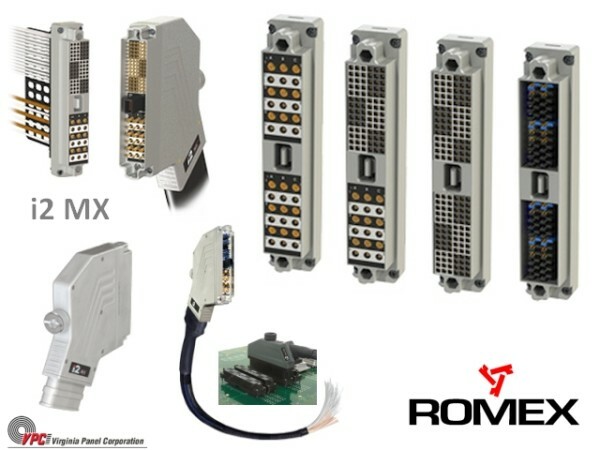 With multiple I/O options to choose from, i2 MX allows you to engineer the ideal connector to meet your test application needs. Below a short list of all its benefits. • Increased contact selection: QuadraPaddle, TriPaddle, Micro Coax/Power, Mini Coax/Power, VTAC HSD up to 12,5 Gbps. • Innovative header easily adapts i2 for quick termination to standard connectors such as VHDCI and 68 Pin SCSI. 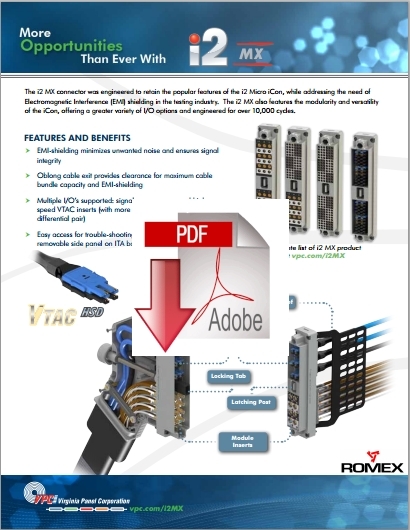 Interested in this product download the brochure by clicking on the above picture, view the short video we prepared for you or just get in contact with our sales specialist at Romex BV. Click the picture above to watch a short video presentation on the new i2-MX.